A Great Way to Start the Day…Be Thankful! I hope this helps you start your day realizing how much you have to be thankful for. Being thankful will remove stress from your life and that is the most anti-aging gift you can give yourself. Removing stress can also help to heal acne breakouts! Invest in a facial or body treatment that WILL change your skin! Healthy Cells = Healthy younger looking skin….it’s a fact! This is great information on Spa 10’s #1 anti-aging facial and body toning treatment! 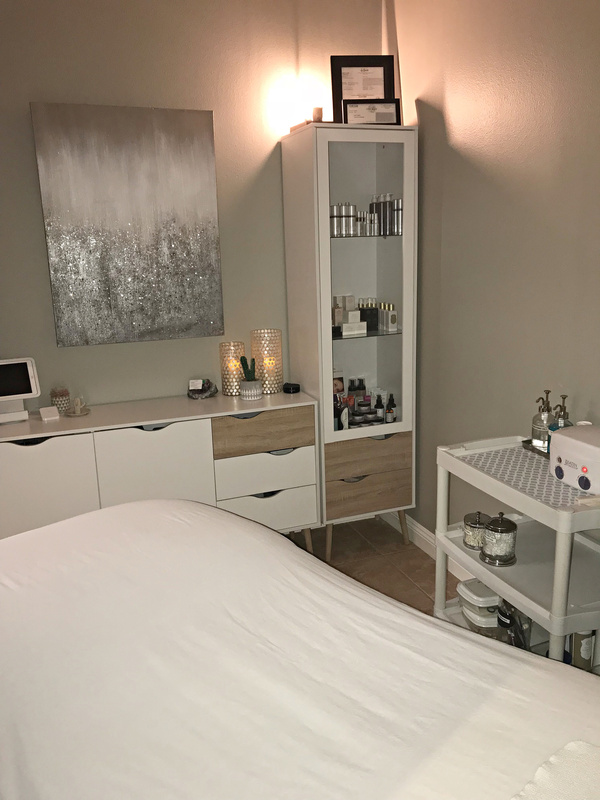 A lot of you have had these amazing treatments and here is clinical information on all the benefits you receive during your hour-long appointment. Muscle re–education is most related to the term “facial toning”. There are 32 different muscles of the face that are manipulated during the average microcurrent treatment. Aside from muscle re-education and massive increases in ATP levels, microcurrent has other proven benefits for esthetic applications. Emil Y Chi, PhD, director of the University Of Washington‘s department of pathology, performed clinical studies using microcurrent equipment. He notes,” The fact that technology works in harmony with the body is evident. Examination of the skin tissue treated with microcurrent showed a 45% increase in the number of elastin fibres in the dermis, and the length if the fibres on average doubled. The collagen thickness in the connective tissues increased 10%, and the numbers of blood vessels increased by 35%. The application of microcurrent to skin and tissue produced a firmer and tighter feeling on the skin surface. Many of the studies detailing the massive increase in speed regarding wound healing refer to ATP as one of the attributing factors. The other attributing factor is an increase in blood circulation. Blood circulation has everything to do with the function, condition, color, and overall health of the skin, as underlying tissue. Chi’s 2003 study performed at the University of Washington further notes a 35% increase In blood circulation Limphatic drainge is a very overlooked treatment in esthetics, although it has been gaining momentum in recent years. Clinical studies performed using microcurrent at Hong Kong’s Tuen Muen Hospital in 1988 indicated that Limphatic by 28% on post-cancer patients suffering from lymphodema. Limphatic drainge is a very overlooked treatment in esthetics, although it has been gaining momentum in recent years. Clinical studies performed using microcurrent at Hong Kong’s Tuen Muen Hospital in 1988 indicated that Limphatic by 28% on post-cancer patients suffering from lymphodema. Chi’s 1999 study also proved that the redness, irritation, and inflammation of surgically traumatized tissue could be decreased significantly when treated with microcurrent. Related to this, the buildup of hardened collagen that makes up scar tissue was noted to be 3 to 5 times less in tissue treated with microcurrent. Further studies also indicated an amazing dispersion of existing scar tissue when treated with microcurrent. This indicates that in the realm of plastic surgery, you can see the obvious place for microcurrent technology. By administering a series of treatments before surgery, muscle and tissue condition is maximized, inclusive of an excessive storage of ATP. Microcurrent treatment of sutures and trauma post-op decreases the down time by reducing inflammation, redness and irritation, while enhancing the healing ability and minimizing scar tissue. Post-surgery treatments also are vital to maintain the results of the surgical work. In terms of product penetration, microcurrent offers specific Iontophoresis that allows superior penetration of water based products into the skin. The idea that the electrical current emits from one probe and returns to the other allows specific focus on products penetration, Chi’s 1999 study also proved that the redness, irritation and inflammation of surgically traumatized tissue could be decreased significantly when treated with microcurrent. Related to this, the buildup of hardened collagen that makes up scar tissue was noted to be three times less in tissue treated with microcurrent. Further studies also indicated an amazing dispersion of existing scars when treated with microcurrent. This indicates that in the realm of plastic surgery you can see the obvious place for microcurrent technology. By administering a series of treatments before surgery, muscle and tissue condition is maximized, inclusive of an excessive storage of ATP. Microcurrent treatment of sutures and trauma post-op decreases the down time by reducing inflammation, redness and irritation, while enhancing the healing ability and minimizing scar tissue. Post- surgery treatments also are vital to maintain the results of the surgical work. 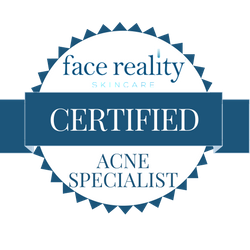 Lori Crete – Skin Care Therapist, Licensed Esthetician, Spa Owner- devoted to helping women from all over the world look and feel beautiful! To book an appointment with Lori or a member of her team please visit www.thespa10.com. © Skin Care by Lori, Inc 2011 All Rights Reserved. Reproduction without permission prohibited. All You Need to know about Injectables & Fillers. I get asked about fillers and injectables almost every day. Although, I do have my favorite Dr.s that I refer my clients to, it never hurts for you to make your appointment with a bit of knowledge. I found this chart to be full of valuable information on the most commonly requested anti-aging injectables and fillers. Just click on the link below to find out cost, FDA approval information, side effects, approved uses, and results to expect from almost each and every anti-aging injectable and filler on the market today! View the injectables chart HERE. I get asked a lot about how to cover sun spots and veins on the legs so I thought I would share this blog about a new product with you all! If I cut myself while shaving my legs, you can see the evidence for months. Being so fair-skinned, the dark marks left by nicks are unusually obvious, and it makes me pretty self-conscious. For a while, shaving my legs at all seemed pointless because I didn’t want to wear skirts and let everyone see all those little scars previously left by my razor. Recently, however, I came upon CM Beauty Leg Magic. This creamy makeup may be too heavy for the face, but it’s perfect for the thicker skin of the body. After spreading it over the unsightly dark spots on my shins and calves, the water- and smudge-resistant concealer sets quickly and stays on throughout the day. If what you need to cover is a little more challenging than my little scars, worry not. Leg Magic covers veins, stretch marks, bruises, birthmarks, and even tattoos. And it comes in nine different shades that match a wide range of skin colors, so even the not-so-pale can conceal convincingly.